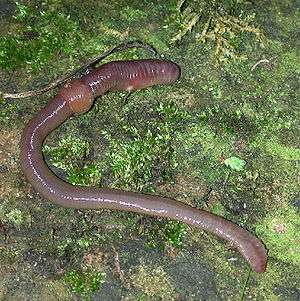 The common earthworm is a universal bait for fresh water angling. Grubs and maggots are also excellent bait when trout fishing. Grasshoppers, bees and even ants are also used as bait for trout in their season, although many anglers believe that trout or salmon and many other fresh water fish roe is superior to any other bait. 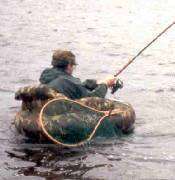 In lakes in southern climates such as Florida, United States, fish such as bream will take bread bait. Bread bait is a small amount of bread, often moistened by saliva, balled up to a small size that is bite size to small fish. 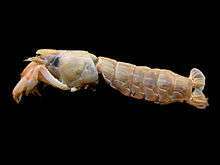 The larger species, the European nightcrawler is much sought after for fishing bait as it tolerates near freezing water and is one of the few earthworms suitable for salt water fishing. These worms can grow up to 7 inches in length, but usually are between 3 and 4 inches long. 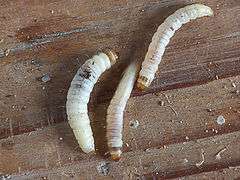 Worm farmers also offer other worm species for bait, depending on availability, which usually depends on the prevalent climatic conditions. ↑ Gunnar Miesen; Steve Hague; Steve Hauge (2004). 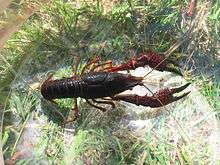 Live Bait Fishing: Including Doughbait & Scent. Creative Publishing. ISBN 1-58923-146-5.